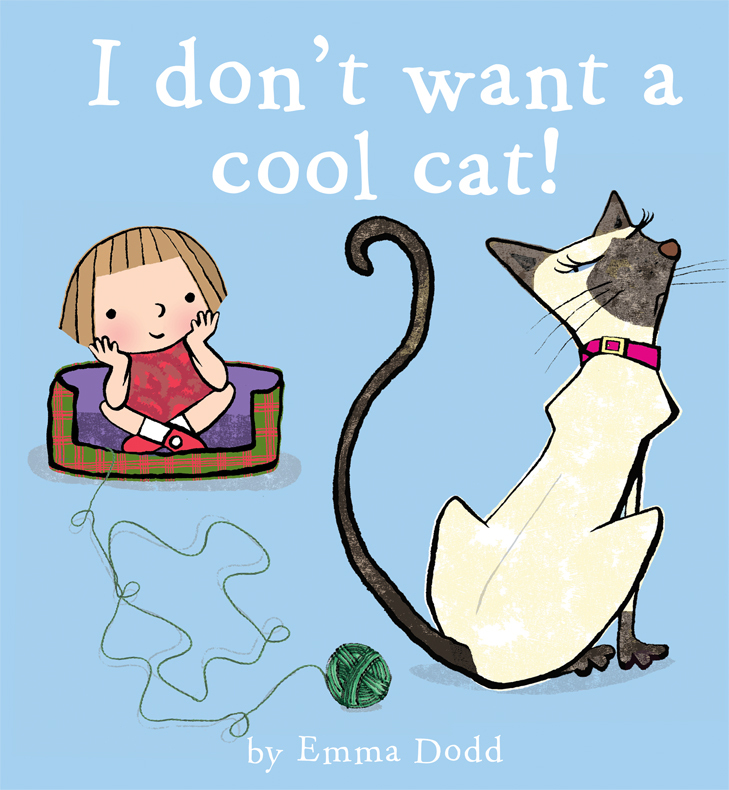 In our house we love cats, and playing Cat Adoption Center is a favorite activity in our home, so I was happy to get a chance to review I Don’t Want a Cool Cat! — a silly, fun read. With its clever, simple rhymes and bright illustrations of all different types of domestic cats (and a tiger), the story has broad appeal. As the young girl describes what kinds of cats she doesn’t want – all falling into general categories of fancy, naughty or needy – kids can giggle along with the funny, rhyming descriptions of each kitty (my son particularly enjoys the slinky, dinky, twinky cat, who appears to be modeled on the sphinx cat). In the end, our girl gets just what she wanted – her favorite kind, which just happens to be the kind of kitty we all love. Kiddos with cat friends will enjoy recognizing a number of feline traits throughout the book, and there are a number of opportunities to slip in some discussions about various issues pertaining to cat companions if a grown-up is so inclined (i.e. why a tiger isn’t a good choice). 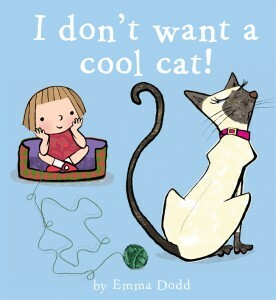 A cool read for kitty lovers ages 3 and up. What I like about this book, especially, is how readable it is. If you’re a parent reading to a young child, I like books that don’t have 53,000 captions, asides, inserts and diagrams to read. The book isn’t too wordy, has nice rhythm, good rhymes and it pops along. It leaves you time to talk with your child about each engaging picture and to me is a perfect story for even younger children than Jen recommends. I could read this to a newborn right until a child prefers a longer, more complex story. I like this one!